One thing I know as a wedding planner is that brides want to look their best on their wedding day. My clients ask me about everything from personal trainer recommendations to where the best spas are. I have incredible teams of stylists for the day of a wedding and I can even send brides coolsculpting leading up to the big day. 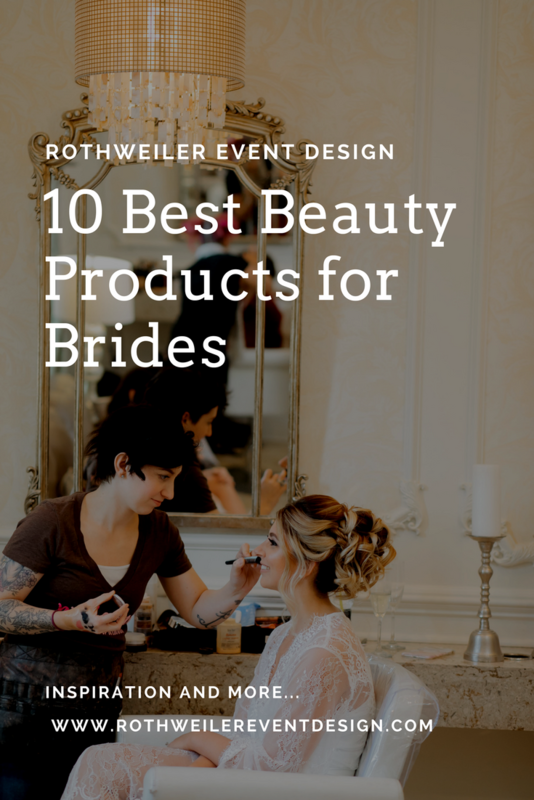 I’m always learning about new products available and in the spirit of the shopping season, I have put together my list of the 10 best beauty products for brides. Check out my favorite products below that are perfect for any bride to be. Whether you’re picking up these items for yourself, or as a stocking stuffer, there’s something here for every bride. Some items can even be received before Christmas, so don’t wait to get that perfect gift! If you haven’t heard by now, Dyson makes hair dryers and they rock. A bride’s hair is pretty featured on the wedding day and it’s important to take care of it until then. Using the right blow dryer is an easy way to take care of your hair. This hair dryer monitors the heat on your hair so you’re not frying every strand. The great travel case makes it easy to bring to a destination wedding or even a honeymoon location. Plus, the drying time is cut in half so you can spend less time drying your hair and more time planning the wedding! With the winter wind constantly smacking me in the face, unless I wear a ski mask everywhere I go, my skin is rapidly drying out. La Mer is one of my favorite moisturizers and it’s truly the best of the best. If there was any time for a woman to splurge on her skincare, it’s while she’s wedding planning. La Mer reduces fine lines and is a well-known staple of the beauty industry. It was a no-brainer to include this product on my list of the top 10 best beauty products for a bride! This eyeshadow palette is so gorgeous! I am not a big fan of palettes that have one of two neutral colors with a bunch of bold ones, so this is one of my favorites. This is a great palette for brides to use on the day of the wedding and even bring along on the honeymoon. The pigments are incredible and the powder doesn’t flake onto your skin during application. Try this out before your wedding day and have fun discovering the look you want when you walk down the aisle! Lip liner can make your lips look a bit fuller, but injections can be too extreme for some. Juvalips lip plumper is the best choice for brides looking for something in between. It only takes two minutes for an instant impact as Juvalips increases blow flow to your lips. Results last for 8-10 hours, and longer with continued use. Pick this up now to use in the months before the wedding day, and be sure to use it on the morning your get married as well. Helping to make that first kiss even more amazing, Juvalips was an easy choice for my 10 Best Beauty Products for Brides! Kerstin Florian is my personal favorite for skin care and I had to include them in my 10 Best Beauty Products for Brides. 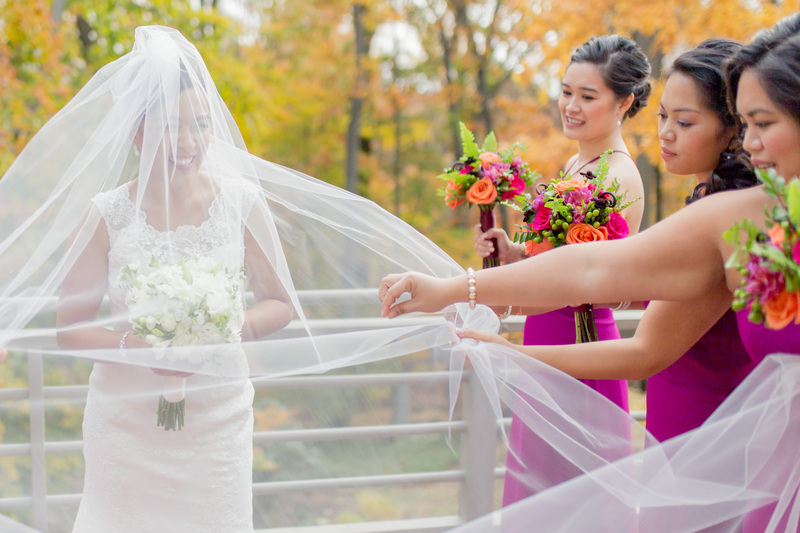 When planning a wedding, a bride can lose plenty of sleep, which is super bad for her skin. This night cream is super moisturizing and you will wake up with softer and more supple skin. So even if you can’t sleep because you’re worried about the wedding details, your skin won’t show it with this beauty product! Every bride wants long gorgeous lashes, not just on the wedding day, but everyday. Even if you’re planning to wear false lashes on the day you get married, there are plenty of other times you won’t…like while on the beach during the honeymoon. An obvious choice for my top 10 best beauty products for brides is Majestic Pure Eyelash Serum. Castor oil has been used for years to increase hair growth and this product isn’t tested on animals and is completely cruelty free. Don’t wait to pick up this amazing product for your wedding day! Besides winter taking a toll on the skin on my face, my feet aren’t exactly ready for sandal season. To get ready to wear those open toe slingbacks under your wedding gown, and those flip flops on the honeymoon, pick up this incredibly beauty product. Amope is heavily advertised and by now, everyone has seen the commercials. It has never been so easy to make your feet super smooth and look perfect in any shoe from any angle. Perfect for in between those pedicures you won’t get to during wedding planning, this is a must have beauty product for any bride to be! This product has been in my bathroom for over ten years now so I had to include it in my top 10 beauty products for brides list. Got a pimple? No you don’t…not with this! Pack up this little stocking stuffer in your overnight bag for the night before the wedding because it works that fast. Great to have for the whole wedding planning process, especially for brides that break out due to stress. You’ve seen those crazy black masks that you peel off from your skin to get rid of blackheads. Well, this is the mask that actually works! Not only does it effectively clean out your pores like in those weirdly satisfying videos, but it softens and firms your skin too. If you’re worried about it being painful, then don’t. The secret is to applying a really thick layer all over your face before letting it dry to peel off. Brides will notice a different immediately and since I am all about instant gratification, this had to make it onto my top 10 best beauty products for brides list! This self-tanner is my total and absolute favorite self-tanner on the market. If you didn’t know this, let me inform you that I am super pale. Right now I can basically use my summer concealer as a contour because I look like a cloud. Self-tanners have always been tough for me to love because they are either too orange, or they streak or smell. I found Fake Bake Flawless about two years ago and I haven’t looked back since. With the mitt that comes with the spray, you get an even look that smells great and doesn’t streak onto your clothes either. Grab this to look great for your bachelorette weekend, the wedding, the honeymoon and forever as a wife! Whatever your beauty routine is, every bride wants to take it to the next level. Now it’s even easier with my 10 Best Beauty Products for Brides and I can’t wait to hear which ones you try. What are you looking to improve before the big day? Share your beauty secrets in the comments below!